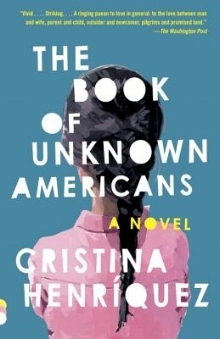 Cristina Henríquez is the author of The Book of Unknown Americans, which was a New York Times Notable Book of 2014 and one of Amazon’s 10 Best Books of the Year. It was the Daily Beast Novel of the Year, a Washington Post Notable Book, an NPR Great Read, a Target Book of the Month selection, and was chosen one of the best books of the year by BookPage, Oprah.com, and School Library Journal. 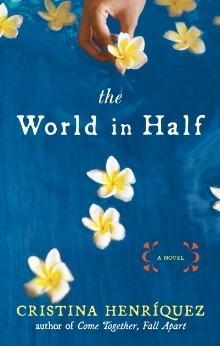 It was also longlisted for the Andrew Carnegie Medal for Excellence in Fiction and was a finalist for the Dayton Literary Peace Prize. Her stories have been published in The New Yorker, The Atlantic, Glimmer Train, The American Scholar, Ploughshares, TriQuarterly, and AGNI, along with the anthology This is Not Chick Lit: Original Stories by America’s Best Women Writers. Cristina’s non-fiction has appeared in The New Yorker, The New York Times Magazine, The Wall Street Journal, Real Simple, The Oxford American, and Preservation, as well as in the anthologies State by State: A Panoramic Portrait of America and Thirty Ways of Looking at Hillary: Women Writers Reflect on the Candidate and What Her Campaign Meant. Cristina earned her undergraduate degree from Northwestern University and is a graduate of the Iowa Writers’ Workshop. She lives in Illinois. Arturo Rivera was the owner of a construction company in Pátzcuaro, México. One day, as his fifteen-year-old daughter, Maribel, is helping him at a work site, she sustains an injury that casts doubt on whether she’ll ever be the same again. And so, leaving all they have behind, the Riveras come to America with a single dream: that in this country of great opportunity and resources, Maribel can get better. When Mayor Toro, whose family is from Panamà, sees Maribel in a Dollar Tree store, it is love at first sight. It’s also the beginning of a friendship between the Rivera and Toro families, whose web of guilt and love and responsibility is at this novel’s core. Woven into their stories are the testimonials of men and women who have come to the United States from all over Central and Latin America. Their journeys and their voices will inspire you, surprise you, and break your heart. Suspenseful, funny and warm, rich in spirit and humanity, The Book of Unknown Americans is a new American classic. Miraflores has never known her father, and until now, she’s never thought that he wanted to know her. She’s long been aware that her mother had an affair with him while she was stationed with her then husband in Panama, and she’s always assumed that her pregnant mother came back to the United States alone with his consent. But when Miraflores returns to the Chicago suburb where she grew up, to care for her mother at a time of illness, she discovers that her mother and father had a greater love than she ever thought possible, and that her father had wanted her more than she could have imagined. In secret, Miraflores plots a trip to Panama, in search of the man whose love she hopes can heal her mother—and whose presence she believes can help her find the pieces of her own identity that she thought were irretrievably lost. What she finds is unexpected, exhilarating, and holds the power to change the course of her life completely. In gorgeous, shimmering prose, Cristina Henríquez delivers a triumphant and heartbreaking first novel: the story of a young woman reconciling an existence between two cultures and confronting a life of hardship with an endless capacity to learn, love, and forgive. With eight short stories and a novella that travel from dusty city streets to humid beaches, Cristina Henríquez carves out a distinctive and unforgettable vision of contemporary Panama. The stories of Come Together, Fall Apart combine to create a seamless fictional world in which the varied landscapes and shifting culture of a country in transition—and the insistent voices of its young people—are vividly represented. In “Yanina,” a young man’s fidelity is tested when a new living situation strains his relationship with his girlfriend. For the young woman in “Ashes,” the very notion of fidelity is shattered—and her lover’s philandering is only one link in a chain of traumatic events that begins with her mother’s death. In “Mercury,” an American girl visits her grandparents in Panama while her parents divorce at home, and attempts to connect with her ailing grandfather in broken Spanish that he’ll never understand. Again and again, characters find their fates irrevocably tied to those of their families—in “Beautiful,” as fortunes rise; and in “Come Together, Fall Apart,” as they collapse. These are stories of family bonds and generational conflicts, youthful infatuation and genuine passion that are tender, ambitious, and unflinching, from a bold and original young writer who is not only an accomplished prose stylist but also an irresistible storyteller. "Everything is Far From Here," originally published in The New Yorker, has been chosen for inclusion in The Best American Short Stories 2018, edited by Roxane Gay. Author photos by Sarah Jane Semrad and Michael Lionstar.